Results from the Monterey 2014 classic and collector car auctions included 98 cars selling for over $1 million each – here a full list by price and auction. The classic and collector cars auctions during the annual mid-August Monterey classic car week generally are the most important of the year with the largest number of top results. 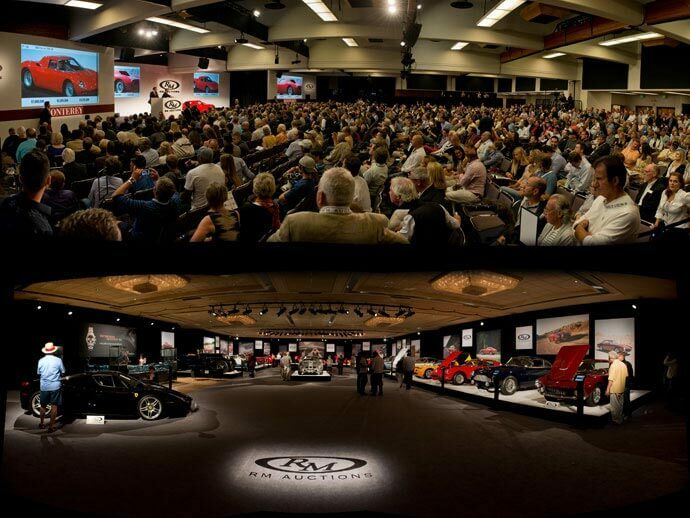 At Monterey 2014, at least 98 cars sold for more than a million dollar each. The following list of the 98 cars achieving more than $1 million each are based on the results published by the various auction houses. 10% added to Mecum’s hammer prices to make numbers comparable with others that included the buyer premium. No accuracy guarantees. Errors and omissions are regretted. Cars sold after auction conclusion are not included (but if known noted at the bottom of the list). Comments welcome on Facebook or Google+. The list is also available as a Google Doc.